Where does somebody who has held on to unexamined views so eloquently expressed in the quotes above go when asked to write her own blog? And write her first post on the use of blogging as a research tool? I went into a cognitive spin and then, as a born researcher, I got on with researching my topic. So, reader please bear with this first post. I am having to look at a tightly held view from the ‘other side’. I have started a new postgraduate qualification to help me learn new ways of working online and it is forcing me do just that. I have now decided that this WordPress site will be my blogging experiment space, that its purpose is not evidential but exploratory and that I am finding a voice to perform my scholarly self to a wider audience; not with the intention of self promotion but with the intention of understanding more about how this medium can support the postmodern self – one that is co-constructed virtually rather than down the water cooler on a Monday morning. It turns out that whilst there are still academics that share the views expressed at the start of this post, there is also a small crowd of reputable academics who see blogging as simply a different type of academic writing. One that may have the capacity to help us become ‘conversational academics’; a writing genre with its very own rules that are recognized implicitly by those academics that blog successfully and that may have more to do with holding in one’s mind the idea of an audience than actuality of it. I have now started to wonder if it has been this very notion that has held me back from experimenting with this medium in the past. It certainly is not a fear of technology, as I consider myself a digital native or, as some may label me, a ‘technological evangelist’. It seemed to me that the first thing I had to explore was what a ‘blog’ was. I read a number of authors and was left with the notion that a blog was an artefact we use to communicate in the same way we use the writing of a paper for a peer reviewed journal. The difference seems to be in the speed with which the process happens, in the rules used for communication and perhaps in audience that this type of writing attracts. I like the notion of performing my scholarly self to the world something that came up in my reading (Lovink, 2008). It appeals to the diva in me, but leaves me wondering what would happen if I become part of that silent and neglected majority that is the ‘zero comment’ majority. Some critics say that this is an issue with blogging as an activity for academics, the judge of the work stops being fellow academics who hold an ‘authoritative scholarship’ framework to evaluate, the work starts to be judged by the in-crowd who reads the blog, and this can be a non-academic audience or (dare I say it?) our students. Others speak in favour of good old Scot or SCOT (the social construction of technology) and say that we can use blogging as a medium to co-create knowledge with our students and a wider audience. It is of interest to me in this context that authoritative scholarship happens in one context, the academic setting, and the more conversational scholarship of blogs happens in a different context, the virtual world of the W3. I read about the digital scholar, the conversational scholar, the authoritative scholar. I learnt about many types of blogging activity; Ferguson (2010) categorized blog themes into community based, reflective, environmental, memos, emotive and blogging related, some themes more appropriate than others to serve as qualitative data for research perhaps but all themes nevertheless. The last category ‘blogging about blogging’ led me to think about metacognition, critical reflection and double loop learning. I thought I had coined a term and was excited about having found a title for this first blog, but a little online research taught me that ‘my’ term ‘metablogging’ was not only commonplace but already a body of knowledge I know nothing about. Still, I liked best categories from a non-academic, non-researcher, non-psychologist: Kilian (2003). He talked about: introvert blogs (those that are used by people to unpack their own inner process), extrovert blogs (those that are about surroundings rather than inner process), job blogs, specialist blogs and advocacy blogs. I can now formulate more clearly a personal view that emotive or advocacy blogs, which are about taking a specific stance on an issue, may be less suitable as data for research than reflective or introvert blogs which may offer insights about cognitive processes in adult learners. So I now have a better sense of what a blog is and the different types of blogging that people can engage in. I understand that when used as a research tool blogging has a best practice and may need to be viewed as a different type of artefact from an academic paper; measured against different yardsticks. My evolving view is that the dictum ‘don’t shoot the messenger’ may apply here. May be I have been guilty of blaming the medium for poor practice and limited critical thinking in those who write them; an opinion, a belief, evidence, a rant, are just not the ‘same’ thing. If we want to use a blog as a way to develop ideas, co-create research, create communities of practice we need to be held accountable to the same principles of dialogue and qualitative data elicitation as if we were using any other medium in an academic setting. If we do not, then (no matters how many ‘followers’ our blogs have) we are not using blogging as a research tool. The experience of writing this in this format has been very different from writing an article or a report. I agree with other writers that the process feels more exploratory, less formal, but most of all the idea of having an audience that is not assessing my writing in terms of the ‘values of [the] traditional academic community with its emphasis on individual possessive intelligence, individuated authorship, stability and fixity’ (Ferguson 2010 quoting Walker 2006) but who wants to read something that holds the attention for more than one second before the next click with zero comment, has helped my create a piece of writing that is very different in nature from, say, a research report. I cannot yet comment on its quality but perhaps that is the point. I publish and wait for comments to co-create some ideas about best practice when using blogging for research. It feels much more exposed than the ivory tower that is the preparation and publication of an academic paper. A willingness to be vulnerable may be what takes us from Gutenberg to Zuckerberg as we learn to live with the ephemeral nature of our words online. Borgman, Christine L. Scholarship in the Digital Age: Information, Infrastructure, and the Internet. Cambridge, MA: MIT, 2007. Print. Bruns, Axel, and Joanne Jacobs. 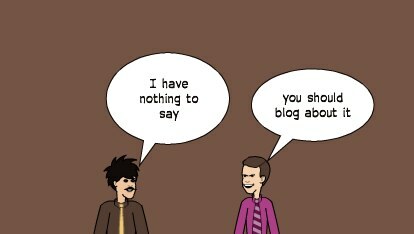 Uses of Blogs. New York: Peter Lang, 2006. Print. Conole, Grainne. “Facilitating New Forms of Discourse for Learning and Teaching: Harnessing the Power of Web 2.0 Practices.” Open Learning: The Journal of Open and Distance Learning 25.2 (2010): 141-51. Print. Ferguson, Rebbeca, Gill Clough, and Anesa Hossein. “Shifting Themes, Shifting Roles: The Development of Research Blogs.” Print. In: ’Into Something Rich and Strange’ – Making Sense of the Sea-Change. The 17th Association for Learning Technology Conference (ALT-C 2010), 7-9 September 2010, Nottingham, UK. Kirkup, Gill. “Academic Blogging, Academic Practice and Academic Identity.” London Review of Education 8.1 (2010): 75-84. Print. Lovink, Geert. Zero Comments: Blogging and Critical Internet Culture. New York: Routledge, 2008. Print. Naughton, John. From Gutenberg to Zuckerberg: What You Really Need to Know about the Internet. London: Quercus, 2012. Print. Weller, Martin. The Digital Scholar: How Technology Is Transforming Scholarly Practice. London: Bloomsbury, 2011. Print. Weller, Martin. “Digital Scholarship.” Scoop.it. 15 Feb. 2013. http://www.scoop.it/t/digital-scholarship. Wells, Gordon, and Guy Claxton. Learning for Life in the 21st Century: Sociocultural Perspectives on the Future of Education. Oxford, UK: Blackwell, 2002. Print. Yes, I enjoying reading your findings about introvert and extrovert blogging (as I would), this makes sense to me as an introvert who wouldn’t dream of sharing my inmost thoughts and reflections to an unknown audience for their delectation and critique. I’m also interested in how your own thinking about the topic has been “forced” on you by your personal choice to study the topic – am wondering what Unconscious processes may have been prompting you to check out your own assumptions and challenge your own thinking? It is most interesting to know that there is a whole world out there, of which I was previously blissfully unaware, that has researched and analysed ‘blogging’ in all its various guises. I was formerly under the impression that all blogs comprised some individual (usually a celebrity or wannabe celebrity) musings on something entirely irrelevant to me and therefore of no significance!I also enjoyed very much listening to Marion Woodward, thank you. When that proverbial ‘minute’ appears in my life, I intend to look at some more of her interviews. Hi, thanks for sharing your thoughts on blogging for research and well done on your first blog post. I look forward to reading more posts.